It makes us feel uncomfortable to see how a community with potential does not recognize the value of working together for a common goal. "I hope you will come back very soon. You inspired us very much!" Thanks to the contacts and motivation of Alisa Spahic, her personal desire to have an impact in her native country, Bosnia, contributed to co-create the Unity for Community Week dowe. This was carried on during the first week of October 2016. We organized a battle event, we gave 15+ hours of workshops with 6 high level teachers from the Netherlands. 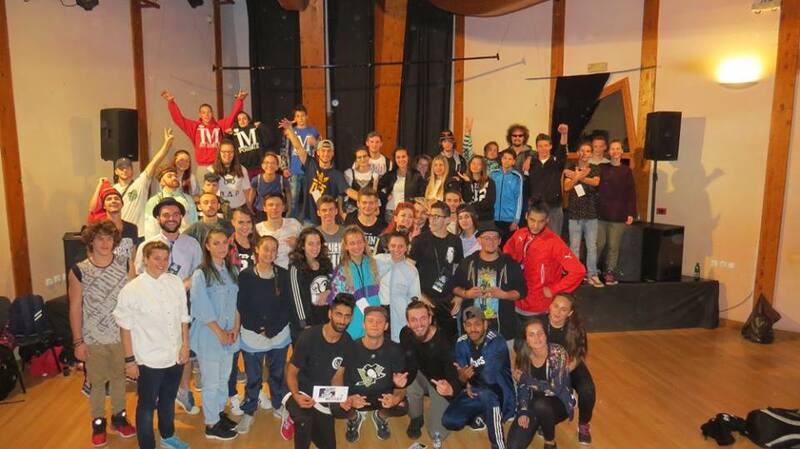 We have had a wonderful experience while, starting a process of growth in both sides, teachers and the Bosnian Hip Hop community. Our grand vision is to reproduce this dowe on an yearly basis, as well as being able to invite Bosnian dancers to the Netherlands.